From New York to Los Angeles, police departments across the country are consistently accused of racism. 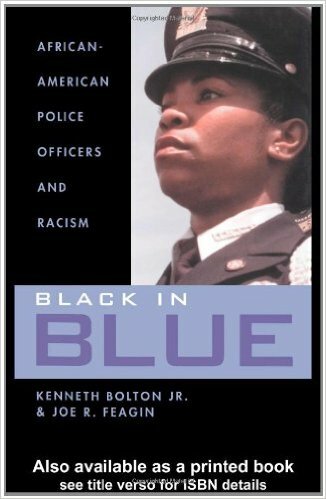 Although historically white police precincts have been slowly integrating over the past few decades, African-American officers still encounter racism on the job. Bolton and Feagin have interviewed fifty veteran African-American police officers to provide real-life and vivid examples of the difficulties and discrimination these officers face every day inside and outside the police station from barriers in hiring and getting promoted to lack of trust from citizens and members of the black community.